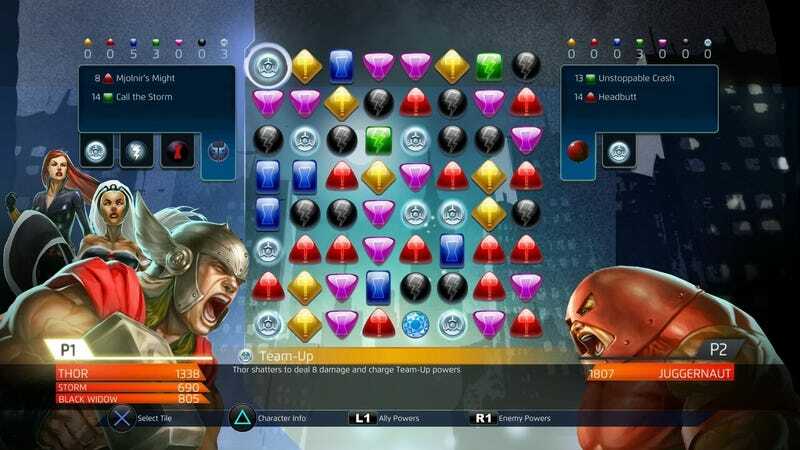 Players will pay $14.99 for Marvel Puzzle Quest: Dark Reign when it hits Xboxes 360 and One and PlayStations 3 and 4 later this year, and aside from eventual full-fledged downloadable content, that’s it. No buying packs of coins or ISO-8 to level up your characters or purchase a chance at rare heroes. Just puzzle role-playing progression and heroes as mission rewards.